It's the most wonderful time of the year! I am such a massive fan of Christmas, my Mum was the same and I am determined that I will instill that festive spirit in my boys - whether they like it or not...ho ho ho! It makes me a bit sad that so much of Christmas is now fuelled by materialistic things like over the top toys and having to send £100's of pounds just to get your kids the 'right' gift for the big day. Don't get me wrong, I'm sure if I had a more affluent lifestyle then I'd probably spoil my little ones but I want them to associate this time of the year with fun and love and the spirit of giving - so we're doing little and lots this month to make that happen. I've created an advent activity list which is essentially an envelope every day filled with a different promise of an activity for us to do as a family. Day number 1 was watch Elf and Day 2 is all about making Christmas decorations to hang on our tree. I'll publish the full list later this week so you can see what we'll be up to and maybe it will fuel some ideas for you and your family? This list is about making time for me and the boys to spend together each day, and later this month we'll be buying a few small toys to donate to charity so I hope they'll start to realise what this season is really all about (for me anyway!). Annnnd, of course we'll be baking! Gingerbread men, christmas brownies, cookies etc. I LOVE baking with the boys and we'll be making some gifts for friends and neighbours (don't worry, I'll make sure they wash their hands..!). 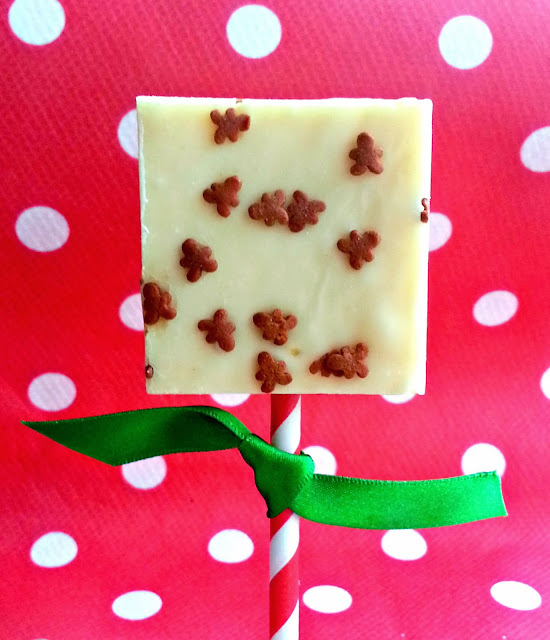 First up today is white chocolate and gingerbread fudge. 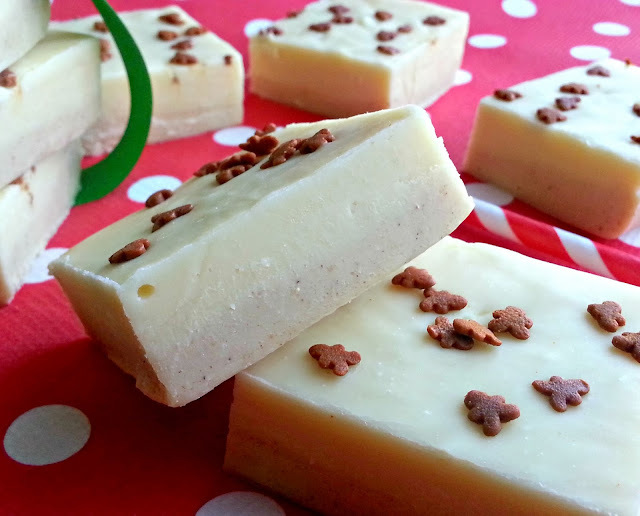 I love white chocolate and gingerbread together and this easy recipe for fudge creates a really creamy fudge that you can whip up in minutes. The idea for popping it onto straws was actually created by my 3yr old when I handed him a piece to try and he immediately popped it onto a straw. Genius! 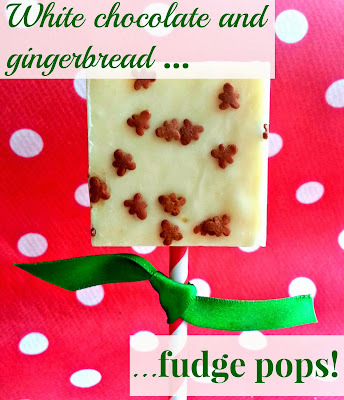 This treat is so fast to make and took me about 15mins from start to finish so it's a great fast dessert to make if you need a last minute pudding or edible gift for a friend! 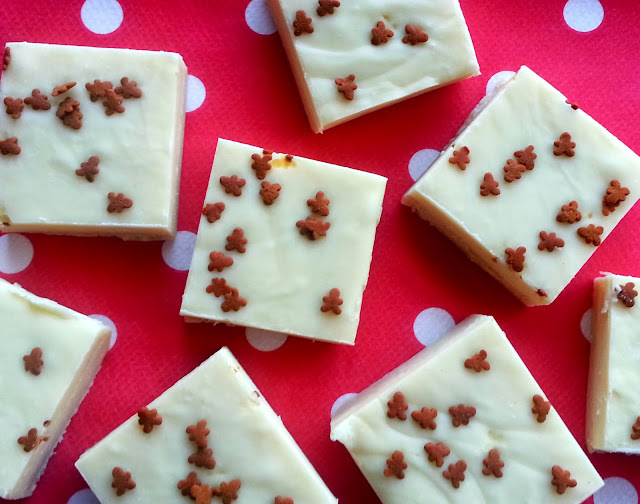 I store this fudge in the fridge as it can get quite soft when left at room temp but it's yummy either way and will last for up to 1 week packaged and stored. Pour condensed milk and white chocolate into a microwave-safe bowl. Heat for 2-3 minutes (dependant on your microwave), or until white chocolate is almost completely melted. DO NOT OVERHEAT. Stir until completely blended, melted, and smooth. Add vanilla. Pour half of your mixture into a small bowl and add your spices stirring until combined. If it starts to set then just reheat for a few secs to loosen it again before spreading into your prepared tin. Smooth off layer with a spatula. Leave the fudge for a few mins before pouring the plain white chocolate fudge over the gingerbread layer. Again, if the fudge has started to set in the bowl then just reheat for a few seconds as this will make it easier to pour. 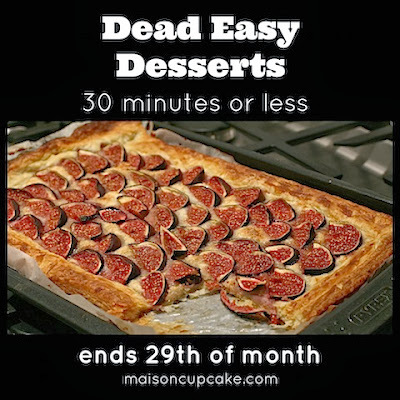 I'm entering this recipe in the Maison Cupcake 'Dead Easy Desserts' blog hop which is filled with ideas for bakes and makes that you can whip up in under 30mins! 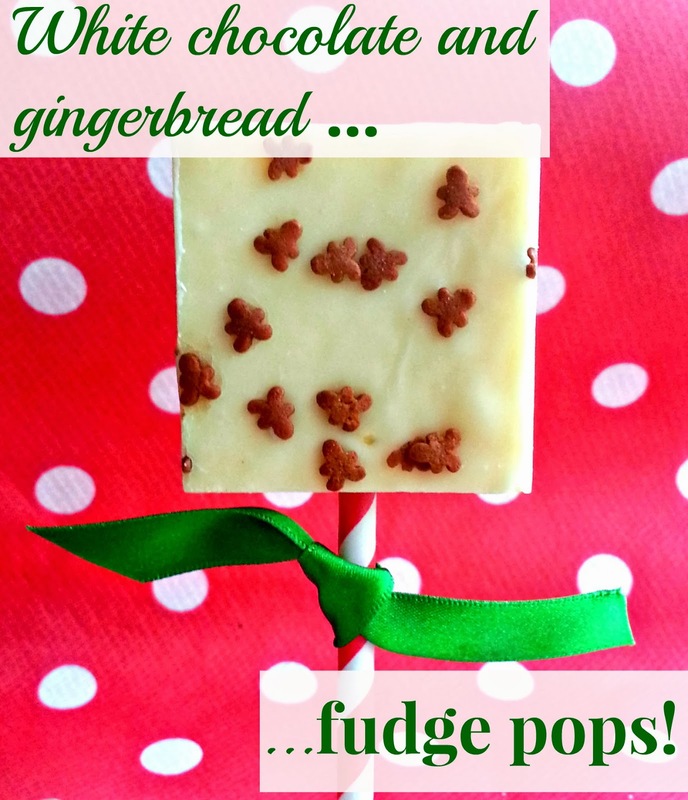 Feel free to share your dessert or go and check out some of the other scrummy ideas. P.S. This series is sure to get a lot of attention as it's going to be a week's worth of cookies with FIVE different cookie round-us. So be sure to join! Hi Jennifer, I'll definitely check it out later! I love a good cookie recipe and I'm looking for ideas for my Christmas bakes with the boys :) Thanks for the heads up. Thanks for submitting to Dead Easy Desserts!